NEW! 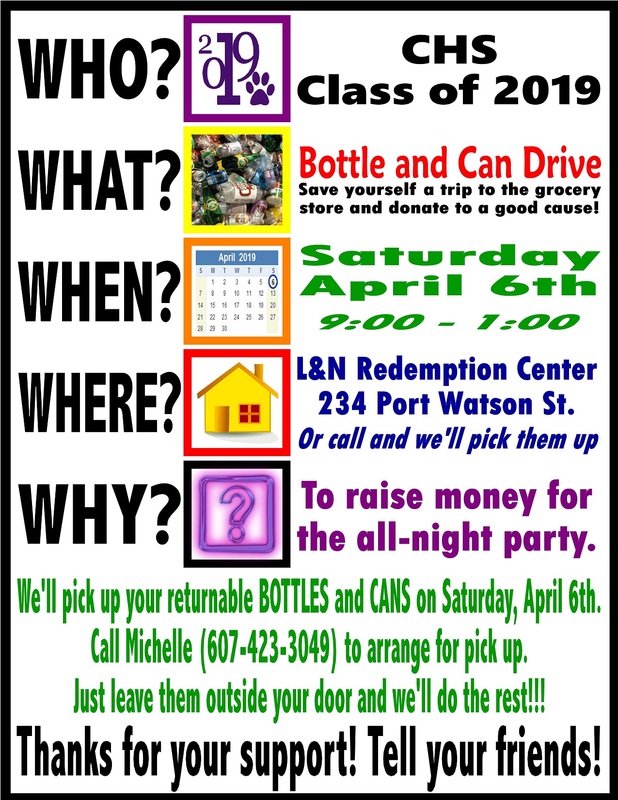 Bottle and Can Drive at L&N Redemption Center: Saturday, April 6th 9am-1pm. NEW! Hanging Basket Flower Sale. See Mr. Brafman for order forms or contact Mary Reagan mereagan@twcny.rr.com. All orders are due Wed., April 10. Pick up is at the Cortland ECSD Bus Garage on Sat., May 4, 9a-12p. Candy bar money is due! Seniors should turn in their sales to Mr. Zarcone or Mrs. Dutcher. If you have any candy bars, sell, sell, sell! L&N Redemption Center at 234 Port Watson Street has an account for the All Night Party Committee. Anyone can drop off cans for our group and they will give us 6 cents for every bottle or can. The phone number for L&N is 607-591-1332. Upcoming All Night Party Committee meetings to finalize ANP details. All parents are welcome. Meetings are held in the High School Cafeteria. Parent volunteers for the All Night Party, contact Mr. Brafman abrafman@cortlandschools.org or 607-758-4162. Thank you to all our raffle supports! Congratulations to our winners who were drawn during the High School Concert. Parents must attend one of these meetings. Thank you to those families who participated in the fall season of our CSA Fundraiser! In short, you pay a weekly fee of $21-$31 depending on the size you choose, and you get 4-8 organic, locally grown vegetable servings. Things have changed around a bit for the Winter season. Our pickup location is now at the Cortland Beer Company on Thursdays. This is a great location because it's a market-style pickup: you get to choose the veggies that make up your share for the week! If you'd like to participate in this fundraiser, sign up using this link. Be sure to choose the option "Cortland High School Senior Class Fundraiser - Pick up at Cortland Beer Company." For every share (weekly pickup), the Senior Class earns $2! This is a great way to support a local business and the senior class. Senior Prom: Friday, May 10, 2019 at Greek Peak. All Night Party: Following the prom and held at Greek Peak / Cascades Waterpark. 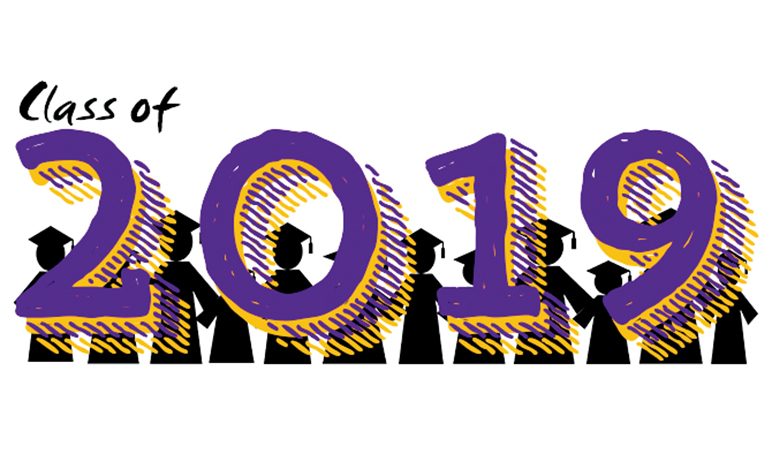 Senior Banquet: Friday, May 31, 2019. Email Mrs. Bottle or Mrs. Pomeroy with questions!